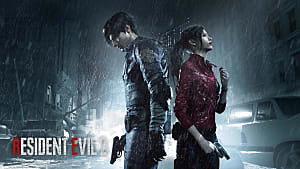 There are four keys you'll need to find in and around the police station in Resident Evil 2: the spade key, the diamond key, the club key, and the heart key. Note: The club key is only available to Leon, and the heart key is only available to Claire. This is the first key you'll find. 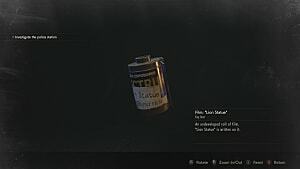 It's sitting on a table on the 3F landing of the police station, next to this locker (check our codes and combos guide if you need help getting it open). This key can be found on a "dead" body in one of the cadaver drawers in the morgue. Don't pick it up until you've gathered everything else in the room— you'll never guess what happens when you do. This one's taped to a whiteboard in the boiler room, which is on the ground floor outside the police station and can be accessed from the 2F roof stairs (not where you find the bolt cutters—different rooftop stairs that you'll discover later). 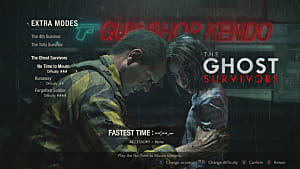 Note that Claire never finds the club key, just as Leon never gets the heart key. The heart key can be found by examining a picture frame in the Chief's office after riding the elevator up from the parking garage (again, only Claire comes up here). 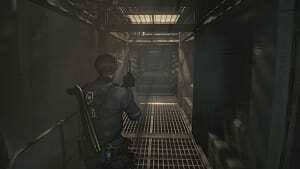 Resident Evil veterans may recall that in the PS1 days, the game told you when a key was no longer needed and offered you a chance to throw it away. 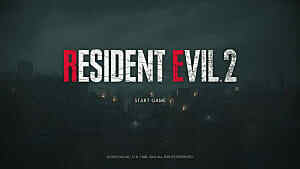 In the remake of Resident Evil 2, the game doesn't tell you when you've found every door that a key unlocks — at least not directly. Check the key in your inventory tab each time you open a door with it. If you notice a small red check mark on its icon, that means it's outlived its usefulness and can be manually discarded. (This works for key items too, like the bolt cutters and car keys.) Now you have more room for bullets! 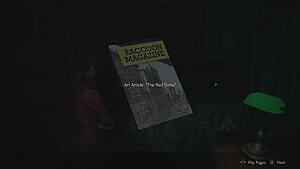 Need help finding the medallions to escape the police station or tracking down the Mr. Racoon statues? We've got lots of useful guides in the back, help yourself.